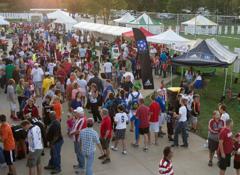 The Fort Wayne United Puma Cup provides players and families opportunity to take advantage of a summer soccer culture that is like no other in Northern Indiana. The event not only provides great regional competition, but also offers youth players the opportunity to experience one of the best pre-season college soccer festivals in the nation: Shindigz National Soccer Festival. Participants have the opportunity to play the game in a quest for the United Cup as well as be spectators of the game at the highest college level; all in one location. All players will have the opportunity to watch 2012 National Champions Indiana University as well as many high level Division 1, 2, 3 and NAIA programs. To be the best in this game you must watch the best.